Much of the destructive turmoil our United Methodist Church has suffered over the course of the last generation can be traced to the leavening effect of the widespread corruption in the denomination’s official seminaries. It is sadly commonplace at official United Methodist seminaries for students to suffer from heavy-handed professors and administrators who attack the denomination’s own well-established, Christian standards on sexual morality (in the name of “justice” and “relevance”) and treat the Christian faith as a mere tool in service of secular, ideologically narrow lefty political agendas. Some of the more outrageous abuses at UMC seminaries are documented elsewhere. But in a recent positive development, the University Senate decided last August to approve Seattle Pacific Seminary for United Methodist clergy-to-be. After a long trend of the University Senate increasingly limiting options for United Methodist seminarians, this marks the first time in recent memory that the University Senate has actually added a school of its list of approved non-UMC seminaries. Seattle Pacific Seminary is a school of Seattle Pacific University (SPU), which is affiliated with the Free Methodist Church. This small, evangelical denomination split off from the Methodist Episcopal Church (the United Methodist Church’s main predecessor body) in the nineteenth century over the MEC’s weakness in opposing slavery and its wealthy-favoring practice of pew rents. The seminary’s statement of faith unapologetically proclaims that it is “historically orthodox,” “clearly evangelical,” “distinctively Wesleyan,” and “genuinely ecumenical” (for diversity among Christians who remain “grounded in historic orthodoxy and a common and vital faith in Christ”). The faculty includes several United Methodists (including the dean, Doug Strong) and Free Methodists, along with a mix of others affiliated with mainline as well as non-mainline Protestant churches. The Free Methodist seminary defines itself by its commitment to “Academy, Abbey, and Apostolate.” It is firmly committed to high-quality scholarship among its faculty (Academy). But it is also committed to promoting personal spiritual disciplines and accountable communal discipleship among students, a vital part of the Wesleyan tradition that the UMC desperately needs to recover (Abbey). The seminary is also committed to equipping its students with the tools they will need for the ministries to which they will be sent out (Apostolate). This offers a refreshing contrast to other theological education programs that have been notorious for their failures to promote spiritual vitality among their students or pastoral effectiveness on the part of their graduates. But such problems are much more pronounced at most mainline seminaries. And it has sadly become unheard for nominally United Methodist undergraduate-serving institutions like Duke or Emory to have similar anti-fornication rules to those of SPU. Of the 39 other approved non-UMC seminaries, only three have Methodist/Wesleyan theological commitments: Evangelical School of Theology in Myerstown, Pennsylvania, Hood Theological Seminary in Salisbury, North Carolina (affiliated with the historically black AME-Zion denomination), and Asbury Theological Seminary (with campuses in Wilmore, Kentucky and Orlando, Florida). 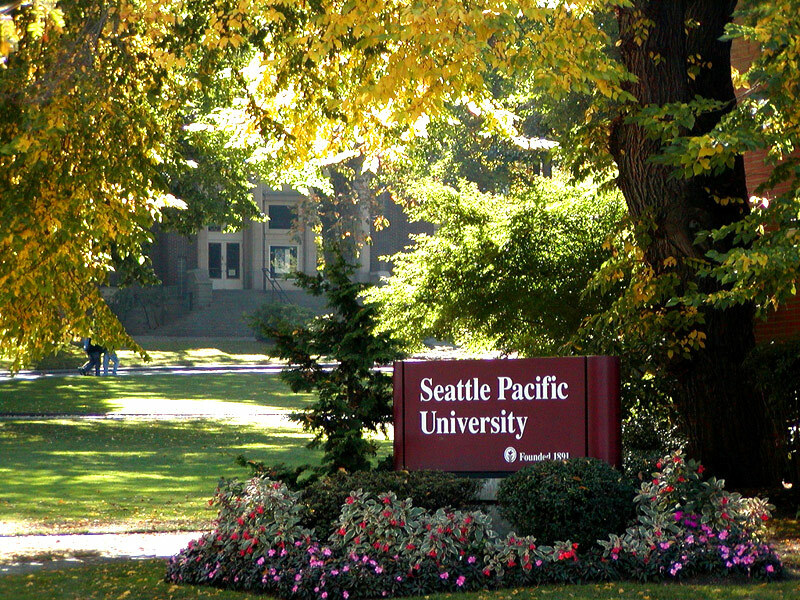 Within the boundaries of the geographically huge Western Jurisdiction, the only other approved seminary options for United Methodists are arguably the two most radicalized UMC seminaries (Claremont in California and Iliff in Colorado), along with the Pacific School of Religion (a self-styled champion of “cutting edge” liberalism), the School of Theology & Ministry at Seattle University (a Jesuit institution), and the evangelical (but not Wesleyan) Fuller Seminary. For individuals interested in potentially attending Seattle Pacific Seminary, the school offers a Discernment Weekend on Friday and Saturday of next week. Given some of the, er, “sexuality issues” at Seattle Pacific, it’s hard to get too excited about the school being approved to train UM ministers. Maybe the school WAS evangelical in the past, but some of pro-gay activity taking place there now suggest that the difference between them and the UM is minimal. We can tell by looking at any of the mainlines that history has little bearing on their present state. After all, the UCC is the direct descendant (organizationally, not spiritually) of the New England Puritans, and John Wesley himself was was so unashamedly evangelical that the UM now either wouldn’t ordain him or would stick in some rural backwater. Granted, Seattle Pacific is more conservative than any of the official UM seminaries, but that’s roughly the equivalent of saying that George W. Bush was more conservative than his dad. The Evangelical Left Post Obama? Will New Leadership Shift Evangelicals for Social Action's Theology?